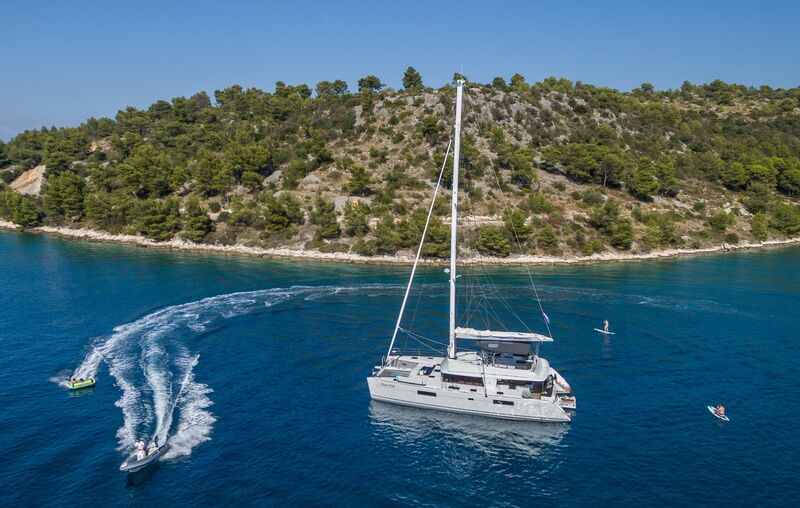 Based in London since 2008, Sail Dalmatia are unrivalled specialists in the provision of fully crewed gulet and yacht charters on the stunning Dalmatian coast. 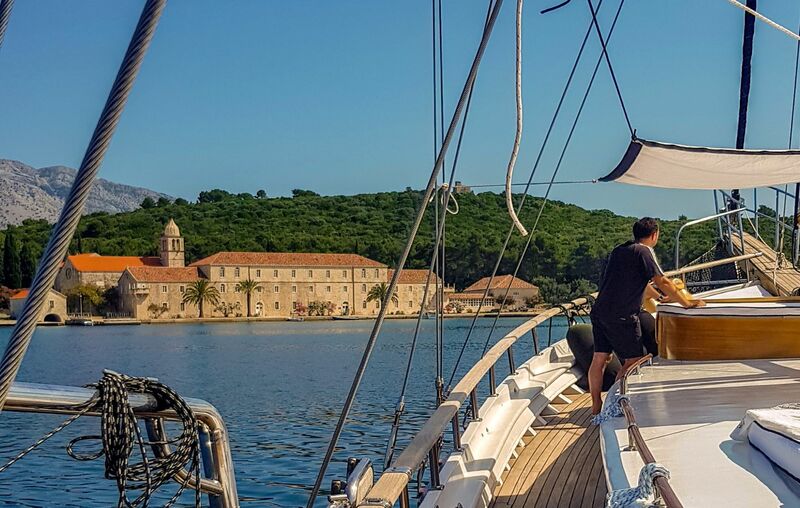 From Croatian yachting's humble renaissance to it's consistent growth as more and more people fell in love with her sublime islands and fortified towns...we were part of the story. Yet we have not wavered in over 11 years from the principle that guides us: we are true Croatia experts. We decided not to follow others as they aspire to take on the globe, and to focus on providing the perfect Croatian cruises with unmatched attention to detail. And that's exactly what we did. It's fair to say Dalmatia is in the blood. Our Croatian speaking team was built by Dora Vulic on the strength of her prior thirteen years' experience in the luxury charter industry, herself a qualified skipper and the only Croatian female to have completed the arduous Round the World Clipper Race. 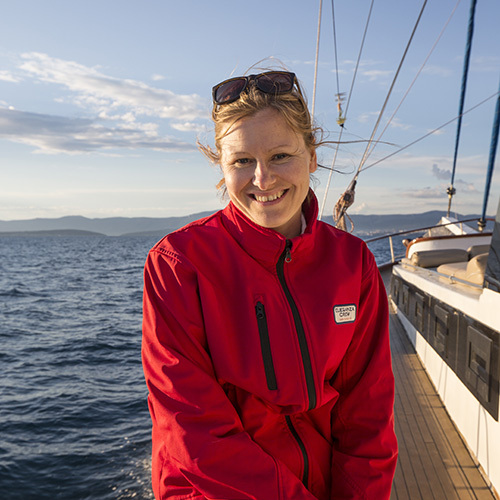 Dora grew up in and around the sailing community in Split: that means impeccable contacts and local fleet and route knowledge that's second to none. If you are looking for a truly tailor-made experience with local experts for whom no detail is too small, don't let others promise you the world. Don't just sail. Sail Dalmatia. Why charter? A quick glance at the map provides the answer: over a thousand enchanting islands and countless more coves and inlets only to be explored via the water. 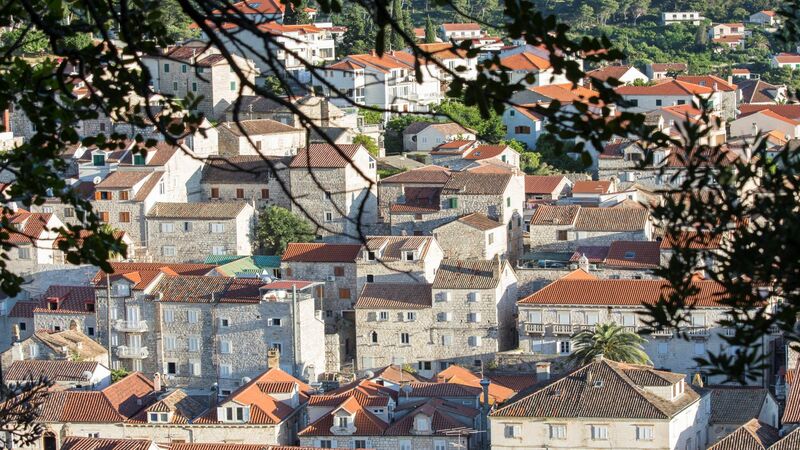 Croatia’s long thin coastal geography allows simple access from the sea to the spectacular walled towns and harbours dotted along the coastline. We are of course biased, but we are not alone. Croatian tourism is certainly in the midst of a spectacular boom at the moment; visitor numbers are nearly 200% what they were just ten years ago and increasing season after season. Enter a quick online search for top sailing destinations and you'll quickly understand why it's the fastest growing sailing market in Europe and consistently features in leading travel guides' and newspapers' top three. 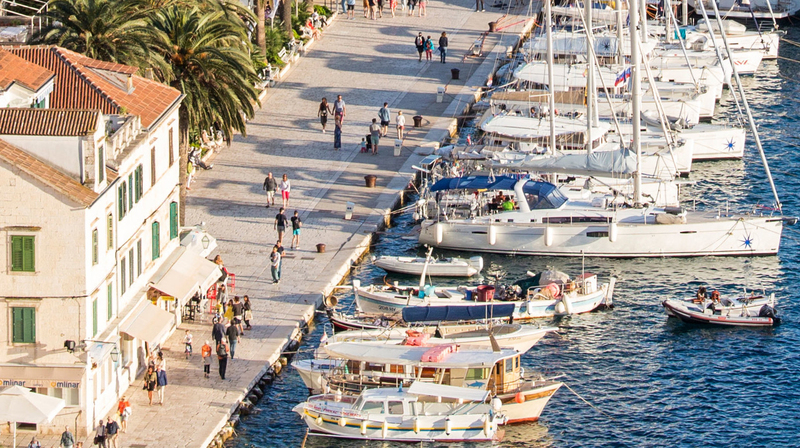 Boasting the longest sunlight hours anywhere in Europe and offering everything from delightful medieval walled cities to Riviera style resorts buzzing with restaurants and nightlife, Croatia certainly has something for everyone. SO YOU CAN IMAGINE YOURSELF RELAXING ON BOARD, BUT WHY BOOK WITH US? In short, we will draw on years of experience to tailor your trip to perfection. It's the reason we've grown year on year and are a market leader for Croatia. Here at the office we share a genuine passion for sailing, the beautiful elegance of the boats we recommend, and this beautiful corner of the Adriatic we know inside-out. Our clients come back season after season because we have the deep knowledge to match them with the perfect vessel, whether you prefer the traditional craftsmanship of a charming wooden 'gulet' or the more modern feel of a catamaran of motor yacht. We also know it's essential to match you with a friendly knowledgeable captain and discreet fully trained crew. But moreover, being experts, we will intricately design the best route and excursions to provide you with the perfect balance between relaxation and activity: do as much or as little as you please. Each year we are relentless in our search to enrich the client experience and pride ourselves in our efforts to maximise your time on-board. From a family stargazing adventure at Struga lighthouse or a sea kayaking experience in the Elafiti Archipelago, to cycling through the UNESCO protected Stari Grad Plain, your time aboard and onshore is guaranteed to provide lasting memories. Why not challenge yourself to an excursion on a Falkusa, a traditional fishing boat with no engine or instruments where you will depend solely on your keen navigational skills? Or maybe rock climbing in the Kornati Archipelago? We know your time on-board is so precious; that's why we take care of everything so you don't have to. The unique complimentary concierge service we offer to clients is what separates us form the competition. Allow us to pre-arrange all transfers, excursions, restaurant bookings, or anything else. All with the aid of our hefty book of contacts. We are happy to organise anything from childcare to scenic helicopter flights. Ask us about securing tickets for the best Croatian open-air music festivals, or if we are able to pre-stock your favourite food and wine on board. We have built our reputation on customer service and our client reviews on the testimonials page speak for themselves. We also provide with a total peace of mind when you book with us. All monies transferred to Sail Dalmatia are protected to offer total re-assurance to our clients. We transact in regulated MYBA e-contracts. This means your money is protected in our Barclays Client Account in London and the deposit is passed onto the owner when your charter starts. The other half is transferred to the owner at the last day of your charter. All of our yachts that are available for charter are fully insured and licensed. All our charter agreements are protected by Galleon Marine PI Insurance for up to €500,000 per agreement. "Our week of sailing was brilliant!Thank you for a fantastic holiday." "We had a truly amazing week in Croatia! Thank you! We will definitely be back. " "We had an amazing time on the Stane. Thank you very much for everything." "Dear Dora, thank you for a wonderful week on board the South Paw C. Mr Babajko and his crew were a real delight. " "We had a splendid time on the Barba. Thank you very much for arranging everything for us. " "We loved our time in Croatia. The boat was lovely, the weather perfect and the food divine! " "We had a superb time. The yacht was excellent and the crew were delightful. Many thanks. We will certainly return. " "Thank you for the wonderful yacht and the great chef. We are in heaven! " "Absolutely spectacular. A great trip. Thank you so much. 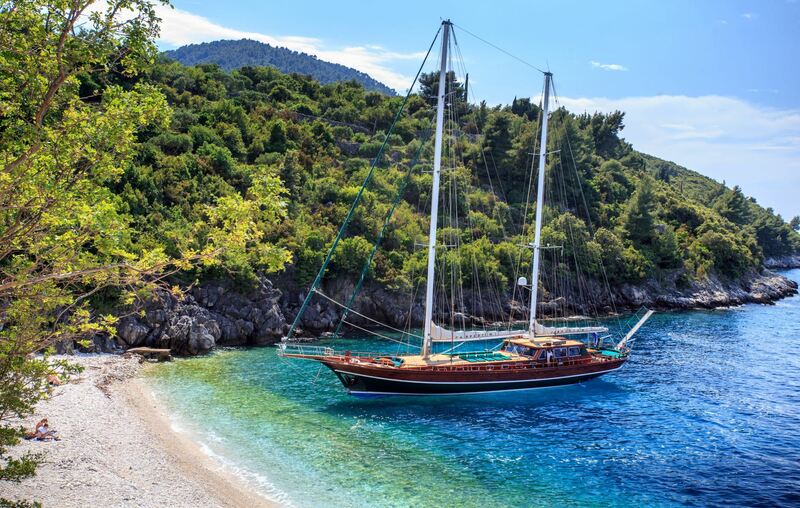 Gulet Aurum"
"The crew were great and went to great lengths to give us the best experience possible. Thank you very much. " "Our stay has been excellent. Great boat and very helpful crew. " "It was best vacation ever. Natalia and her husband were awesome. We look forward returning next summer. " "A truly wonderful holiday. Croatia is a marvellous country with friendly people and divine food!" "We have had a fabulous time on Eleganza. Great crew, food and service. " "The Angelica crew was fantastic! We have already recommended them to our family and friends." "We had an excellent week on board Pacha, everything worked out great." "We had a wonderful time on board the Lagoon 620. Davor and the crew were exceptional. " "Having a fantastic time on Anna Wo, and Captain Toni is a prefect host." "We had a truly wonderful time on the Perla, and thank you so much for all your help!" "Ivor was a great host and looked after us very well. Croatia is a beautiful country and we would love to come back. " "We are very happy with everything - the boat and the crew. It has been perfect, thank you.